With a knife-edge general election just 90-odd days away, we must confess ourselves surprised at the sudden rash of candour/indiscipline (depending on how generously you want to frame it) that’s broken out in Scottish Labour. 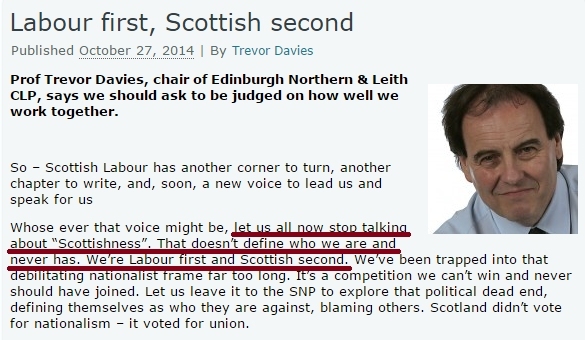 It started soon after the referendum, when Edinburgh Labour chairman Trevor Davies felt confident enough, with the vote won, to announce on an officially-backed Labour website that his primary loyalty was to his party rather than to the people of Scotland, under the startlingly blunt headline “Labour first, Scottish second”. But any notion that the comments represented nothing more than a vainglorious and momentary slip from a loose cannon were soon dispelled. We just had to put this up before packing in for the evening. “Labour has also rejected proposals to devolve air passenger duty (APD), alcohol, fuel and tobacco duties, corporation tax and capital gains tax, to avoid tax competition with the rest of the UK and to avoid appealing to business interests. Read that over to yourselves a few times, folks. Let it seep right in. Labour refused to devolve APD, a policy their own Devo Commission’s interim report had recommended, because it was an SNP policy that some major Scottish employers approved of. So, there was another vote in the House of Commons today on the bedroom tax. Labour brought forward a motion to abolish it, having abstained from the one the SNP and Plaid Cymru filed back in February according to the Bain Principle. With many Lib Dems abstaining this time, the motion failed by just 26 votes. Dozens* of Labour MPs had failed to turn up to support the motion, including 10 (ie 25%) of the party’s Scottish MPs – Gordon Brown, Jim Murphy, Douglas Alexander, Pamela Nash and Ann McKechin among them. Someone else didn’t make it either. Can you guess who, readers? 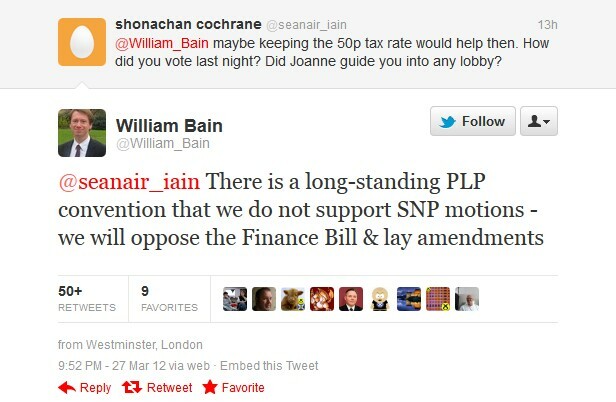 Against our better judgement, we found browsing the Twitter feed of the Labour MP for Glasgow South (remember him?) on Friday for the first time in several months, after some irresponsible person (specifically this one) drew our attention to the fact that Tom was still boasting proudly about the Downfall-parody video clip that got him in trouble last year. And a couple of things struck us as at least vaguely interesting. 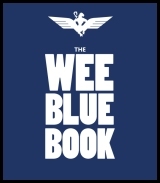 One was the “biog” entry below the avatar, which is a variant on a well-known chant often aired by fans of defunct Glasgow football club Rangers FC – “Nobody likes us, we don’t care”. It seems an odd, confrontational attitude to adopt for someone who relies entirely on being liked by the public to still have a job. But it was the rest of the feed that revealed the oddest thing. The sheer speed and barely-concealed enthusiasm with which Scottish Labour has reverted to its true neo-liberal type given even the slightest sniff of any kind of electoral success has been startling. Having gained a few dozen seats, almost all from the Lib Dems, in the council elections, the party has lurched back to the centre-right positions it occupied before the 2011 Holyrood parliamentary election, having abandoned several of them in the run-up to that vote in a desperate attempt to avert defeat. We’ve already seen Johann Lamont doggedly refuse to oppose the renewal of Trident, and Glagow council leader Gordon Matheson prepare to backtrack on years of anti-sectarian progress by allowing the Orange Order to greatly increase its toxic presence on the city’s streets (a prime example of the Bain Principle at work, in the wake of the SNP’s controversial Offensive Behaviour At Football Act – if the SNP are taking steps to tackle sectarianism, Labour must take steps to encourage it, however insane that is or whatever their previous policy might have been). And last week we saw a party whose 2011 manifesto opened with the dire warning “Now that the Tories are back” take every possible opportunity to jump into bed with the Tories in councils all over the country, giving the lie to the constantly-pushed official media narrative that the SNP and Labour are two near-identical centre-left social-democratic parties separated only by their disagreement over independence. So perhaps nobody ought to be surprised that at the weekend Johann Lamont decided to test public opinion by suggesting that Scottish Labour – which is currently strangely at odds with the UK party on the subject – might once again abandon its opposition to university tuition fees. 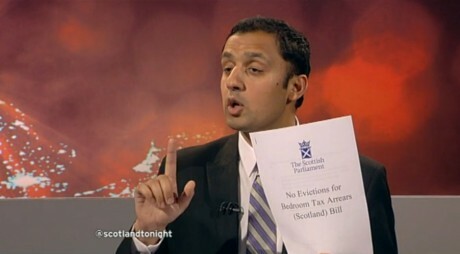 We've seen the patented Attack Boomerang in action on many occasions (the most recent being the bizarrely ill-judged attack on the SNP's referendum consultation which rebounded particularly badly on the party's "deputy" Scottish leader Anas Sarwar, and forced even the BBC to reluctantly acknowledge Labour's embarrassment), but one of the strangest was Labour's bitter criticism of the SNP over the fact that it had persuaded Amazon, the internet retailing giant, to recently open a large centre in the Dunfermline area and provide thousands of new jobs. I've been watching the Labour Party's slow self-destruction for some years now with a mixture of regret and relief. Regret in what has become of a once great party, and relief that the Frankenstein’s monster it became may be slayed. This article will be rather critical of Labour, indeed it is more of a lament about Lamont and her ilk, but it is deserved. 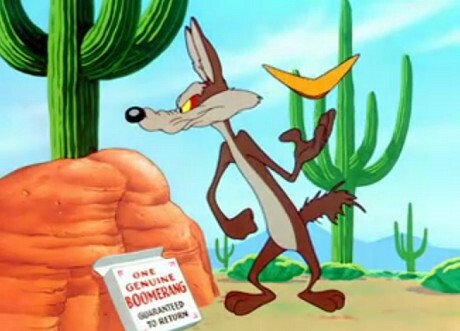 How did the party get to a point where its leadership has become so dysfunctional that they've turned former voters – myself included – away in droves? I'm one of the lucky ones. 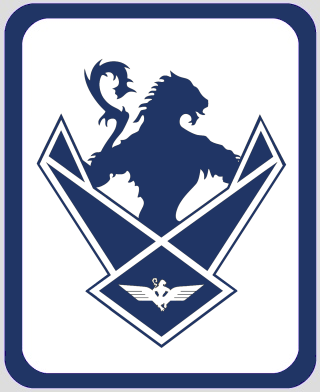 As a supporter of independence I can envisage a future where the parties of old are reborn from the flames of destruction like a phoenix, without any Westminster baggage dragging them down. But that future is post-independence and until then the final death throes of the corruption eating away at the party are a danger to its prosperous future in an independent Scotland. It is for this reason that I have been looking at most probably the greatest example of dysfunctional leadership in modern history, but one in which the participants learned and adapted to prosper later, a trick Labour could do with learning. So another 24 hours go by, and still absolutely nobody in the Scottish media thinks it at all newsworthy that the country's main opposition party has a deliberate policy of refusing to support ANY Parliamentary motion put forward by the SNP, regardless of its merits. We wish we were more surprised. Scotland Tonight, which at least engages with its viewers on Twitter, claimed its reporting team were "not excited" by the astonishing revelation, openly and publicly made by a Labour MP, that Scotland's second-biggest political party was more interested in party advantage than the interests of the people. Newsnight Scotland and Reporting Scotland both ignored the story, as did all of the nation's newspapers. 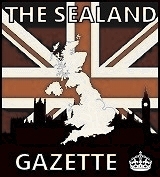 The Herald and Scotsman did both run tiny pieces on the less-interesting prelude that brought the news to light (Labour's ham-fisted refusal to vote against George Osborne's 50p tax cut for the rich), but neither could find even half a sentence in passing to mention the much more significant discovery of the Bain Principle. The other story covered by Wings over Scotland yesterday DID manage to secure a lot more media attention, though. Following on from the Telegraph and Caledonian Mercury, both Scottish broadsheets were able to find large amounts of space to repeat the powderpuff story about Alex Salmond offering a couple of long-standing SNP members a cup of tea and a biscuit in Bute House. 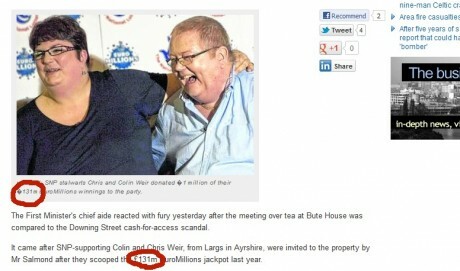 The Herald put it on the front page – in a piece so poorly researched and edited that it managed to knock £30m off the value of the Weirs' Euromillions jackpot (repeatedly giving the amount as £131m rather than the actual £161m) – and presented the story as dramatically as possible, giving plenty of space to Labour's Paul Martin to make lurid accusations which the paper depicted neutrally (Martin merely "said" things) while it portrayed the SNP spokesman's response as angry and defensive, using phrases like "The First Minister's most senior aide stormed…" and "reacted with fury" . "At the heart of this affair there is a serious problem for political parties. They need money to run expensive campaigns. People who give large sums of money tend to be those who do not hand over cash without expecting something in return. There are people who simply believe in the party cause – the lottery winners who have given £1m to the SNP, for example – but they are few and far between." 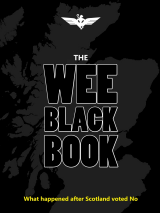 It probably goes without saying that the Daily Record also managed to cover the Weirs' so-called "tea party", and it also ran it twice – though it should be noted that both pieces were handled rather more soberly and even-handedly than either of its two supposedly more grown-up counterparts – but didn't consider either Willie Bain's admission or Labour's tax-rate abstention to be worthy of even a few lines. Supporters of independence are often accused of paranoia by the Scottish media, but no belief is paranoid if it's true. The embarrassingly transparent attempt by the press to bury the story of the Bain Principle, while devoting page after page after page to repeatedly casting aspersions on an entirely legitimate, open and above-board donation which the SNP conspicuously announced the moment it happened and which absolutely everyone accepts was not made with any ulterior motive or seeking any benefit, will do nothing but fuel the nationalists' fire. The story isn't, of course, that Labour failed to vote against the 50p tax-rate cut when the SNP and Plaid Cymru put forward a motion in the House Of Commons. The truth that it was a "screw-up" is entirely believable in the light of Labour's general ineptitude, and not that big a deal in itself. The rate cut was happening anyway no matter whether Labour voted on the motion or not, and in the flurry of essentially meaningless post-Budget motions, missing out on one of them is pretty insignificant. But then Willie Bain stepped in. Late on Tuesday night, the MP for Glasgow North East responded to some criticism of Labour's abstention on Twitter, with an admission of what many in Scotland have long suspected/known – that Labour opposes anything proposed by the SNP, regardless of the merits of the thing in question. “It is clear that Labour hates the SNP much more than it loves Scotland. Even when it came to voting against a Tory tax cut for millionaires, Labour could not put its resentment of the SNP aside in the interests of ordinary working people." But we'll charitably assume that Bain's extraordinary on-the-record revelation (he hasn't deleted the tweet, though it's impossible to say if that's out of honour or a recognition of the futility of trying to delete internet trails) occurred too late at night for the Scottish press to have picked it up in time for the morning editions. We'll be watching closely, though, to see if tonight's TV and tomorrow's papers consider it in any way newsworthy that Scotland's Labour MPs are now by their own acknowledgement more concerned with pettily fighting the SNP than serving the interests of their voters.